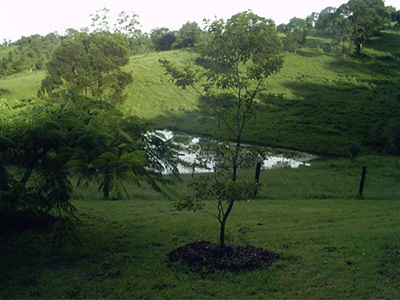 This is the view from my house. The white object in the middle is actually our dam, the colour is caused by the water reflecting the storm clouds in the sky. 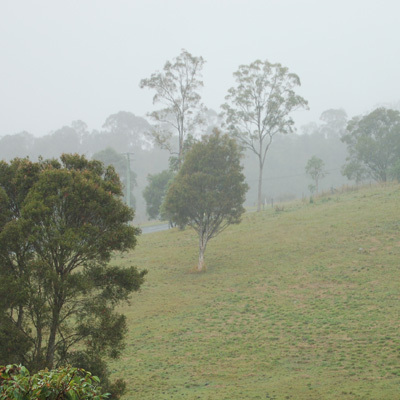 The view from my house, zoomed in much further, but just after an afternoon storm. the fog is truly eerie. 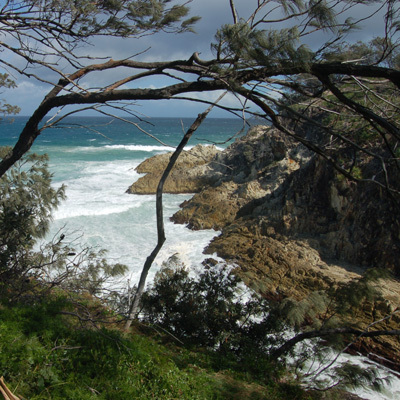 This is the mouth of the North Gorge, near Point Lookout on North Stradbroke Island. The picture was taken from the lookout at North Gorge. Wouldn't you like to have a driveway like this? 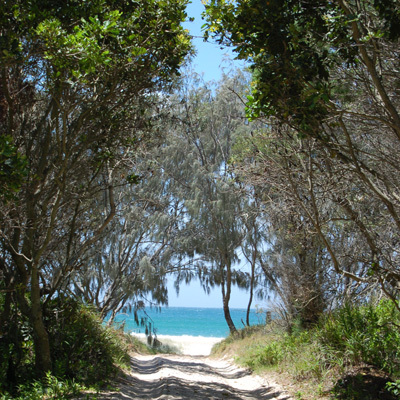 This was taken in a forest that's facing the eastern beach at Point Lookout on North Stradbroke Island. 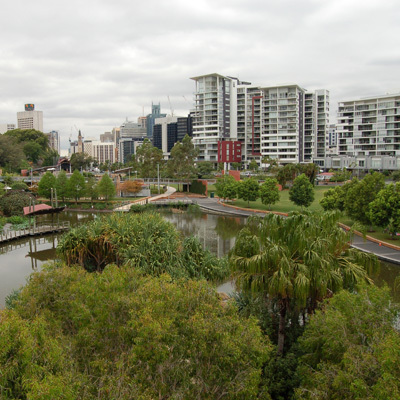 This was taken at the lookout 'tower' at the Roma Street Parklands in Brisbane City. It's overlooking the main lake, and the buildings form the lower end of the Central Business District (CBD). The Brisbane River is behind the two cranes that are just visible up the top, in the middle.